I couldn’t resist giving this little fellow a post of his own. We saw him on Day 5 at the end of Echina Gorge, a very narrow chasm which we walked until we got to the closed end. He was remarkably tame and not worried about the people who were walking past him (or her). 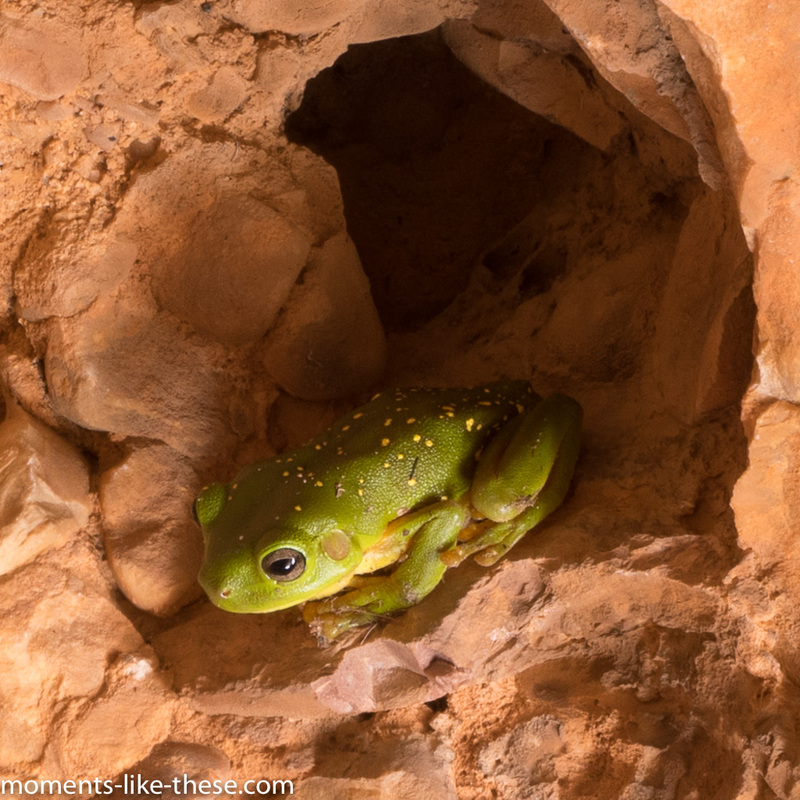 This entry was posted in Nature, Photography and tagged 2017, A7r, Australia, Bungles, Echina Gorge, frog.